Surrounded by a garden and forest, four individually designed saunas invite guests to enjoy unparalleled relaxation and rejuvenation. 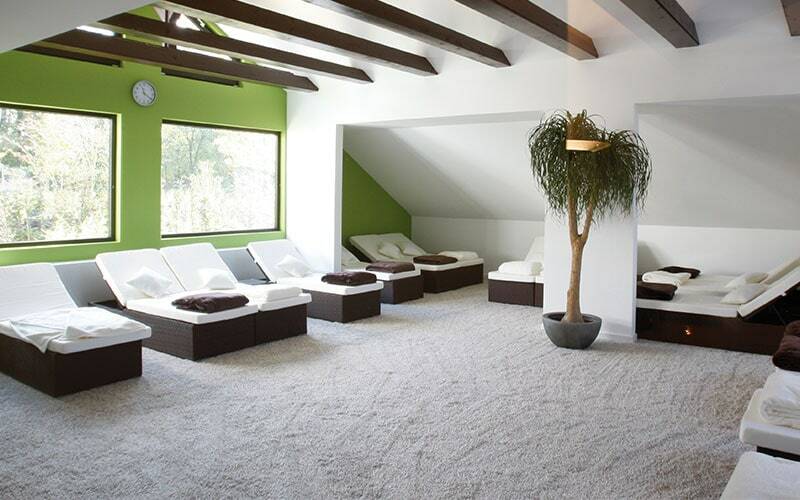 Our cozy spa restaurant, the classic Kneipp facility with warm and cold pools, the well-lit interior, and the absolutely peaceful relaxation room all come to together to make the spa experience at ESSENSIO one-of-a-kind. 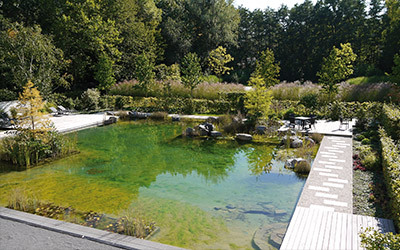 Come experience the magic of the location in the Düsselauen in an almost completely private atmosphere – an inspiring ambiance incredibly near to nature. Here, the focus is completely on your desire to rest, relax, and recharge your batteries. We look forward to your visit and have a great deal for you! The steam room, the gentle sauna, and the fire sauna are available for your enjoyment in our indoor spa area, while you’ll find the forest sauna outside. 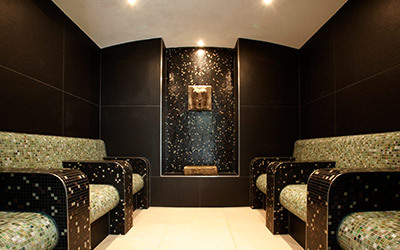 We offer sauna ceremonies with experienced sauna masters on Tuesday starting at 7 pm and on Saturday and Sunday starting at 1 pm. 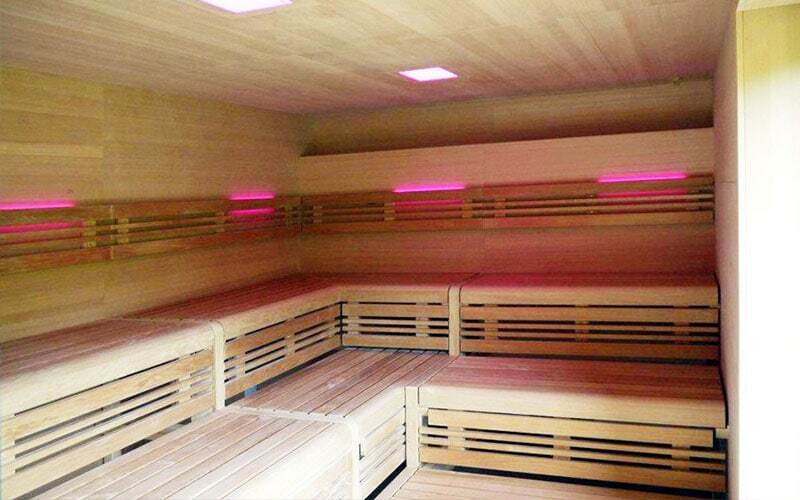 During the winter season, we hold our long sauna night on the last Friday of every month. Our saunas are open to members and daily guests Tuesday to Friday from 10 am to 10 pm and on Saturday, Sunday, and holidays from 10 am to 7 pm. 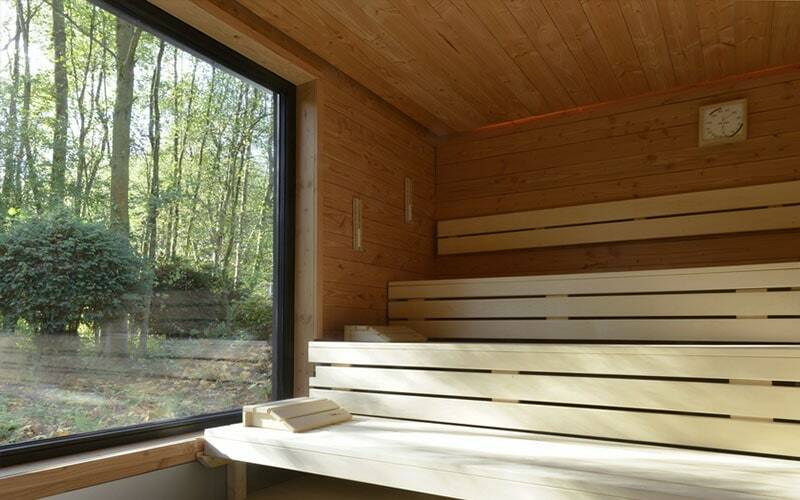 Our outdoor forest sauna is open to members on Monday evening. The temperature of this sauna is 60° Celsius (meaning it is gentle on your circulatory system), with a humidity of 40% – 55% and space for 12 with natural light and a view of the garden. Located in our outdoor area with a large window that offers a view of the natural forest, a temperature of 90° Celsius, low humidity, space for 25, and regular steam treatment ceremonies. Enjoy the open fire while relaxing with your feet in the warm water. 70° Celsius air temperature, 35° Celsius water temperature, space for 15. Skin-stimulating 80% – 100% humidity, 48° Celsius air temperature, 6 generously-sized individual seats, darkened atmosphere. 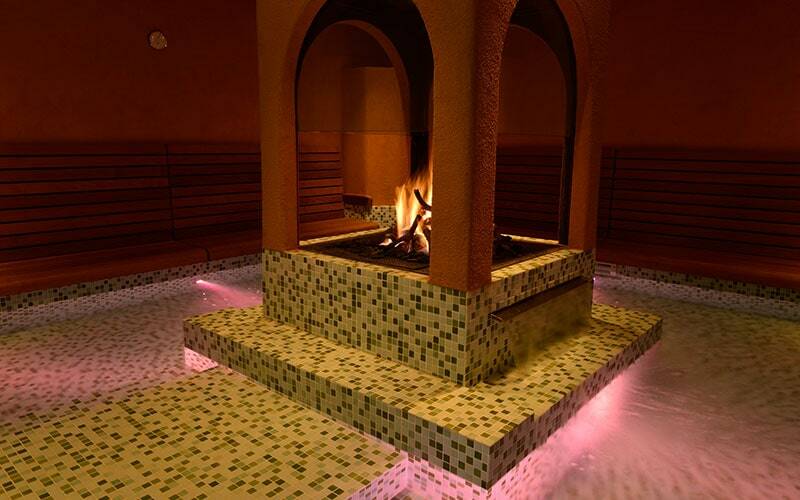 During the fall and winter months, we invite you to join us for our long sauna night on the last Friday of each month from 7 pm to 1 am at the ESSENSIO Health & Sports Club. 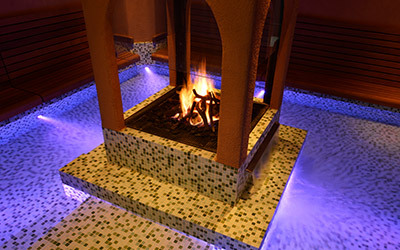 In this magical atmosphere you can enjoy a holistic spa program in our four different saunas, complete with a variety of different aromatic steam treatments and sauna ceremonies. 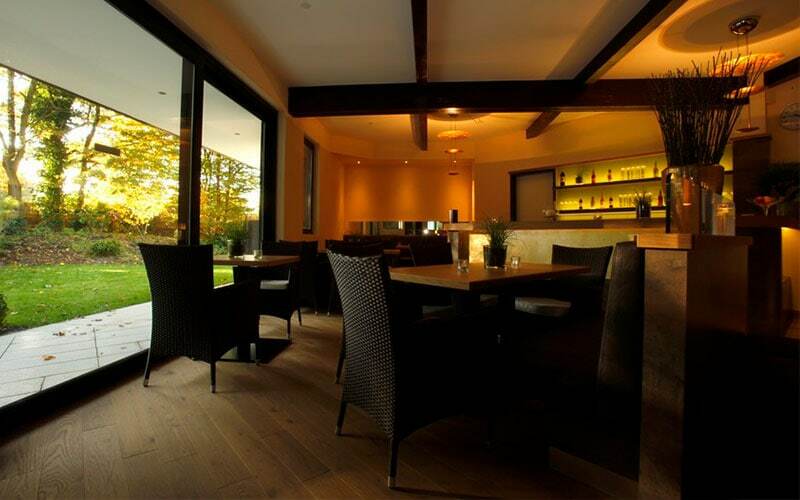 Our cozy sauna restaurant is also open and offers à la carte meals and drinks, which means you are sure to enjoy a completely relaxing evening. Tickets can be purchased online in our gift card and ticket shop or simply stop by the ESSENSIO Health & Sports Club to reserve your spot for the sauna night in person. See our news page for the date and costs of the next sauna night. Physical and mental well-being also includes silence and rejuvenation. This is how the body regains its strength and recharges its batteries. To ensure that you enjoy this time, we have created generously-spaced relaxation areas that allow you to enjoy the wonderful atmosphere –full of light and with a direct view of our natural surroundings. Inside, a tastefully decorated relaxation room with comfortable spa loungers is available to you. You’re sure to enjoy the time you spend relaxing here in the middle of this garden landscape. Our guests will find a separate, cozy dining room in the sauna area, where we offer a small selection of hot and cold dishes. Here, our large selection of fresh drinks will help you refill your body’s supply of important minerals after spending time in the sauna.